The sky begins to darken, as wings flap in a chorus. A small mouse steps out onto a rock. "Oh, I do love the smell of a world about to be conquered." Tehras jumps on a Bat and flies away. Tehras rests as his bat, and its swarm, flap over the ocean. Spotting a school of fish, the bats dive into the water, each grabbing and devouring a small fish. You don’t need stats, just come up with a character. You are at the narrator’s mercy. Mwah aha!! 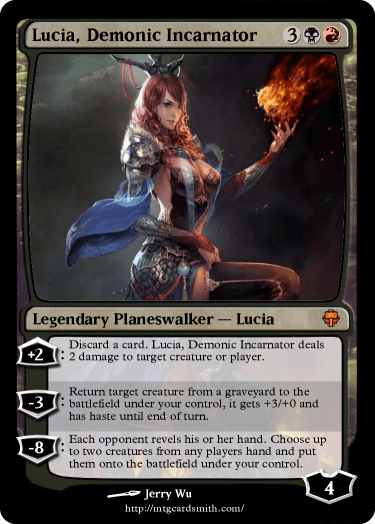 Lucia is a faithful servant of her older brother, who rules over a plane with complete control. A decade or so ago, Lucia's sister Hanhla escaped her brothers rule and went on a journey across the planes to befriend many wild beasts in order to one day return and destroy her brother. Lucia is passionate to say the least, although not cocky. She will try to trick people and creatures into making subtle pacts with her so that she can summon them as demons as she pleases, as well as using their souls to fuels her dark, fire magic.